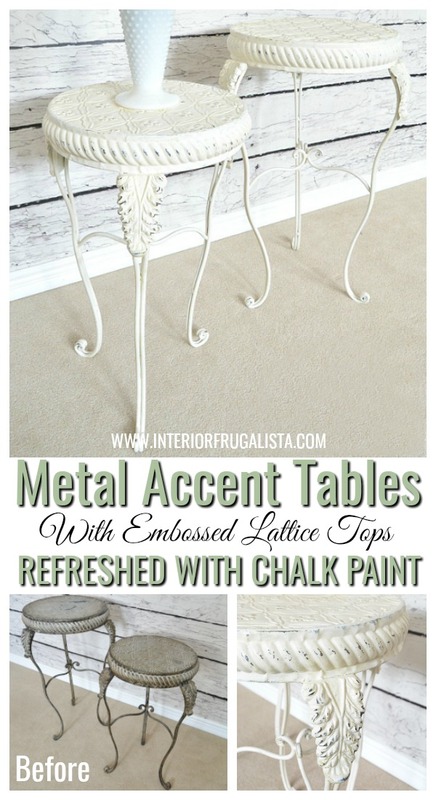 Did you know that you can paint metal with chalk paint? 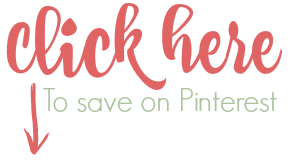 Spray paint would be the more popular choice for painting metal but in the dead of winter when that isn't an option, chalk paint is an excellent alternative. 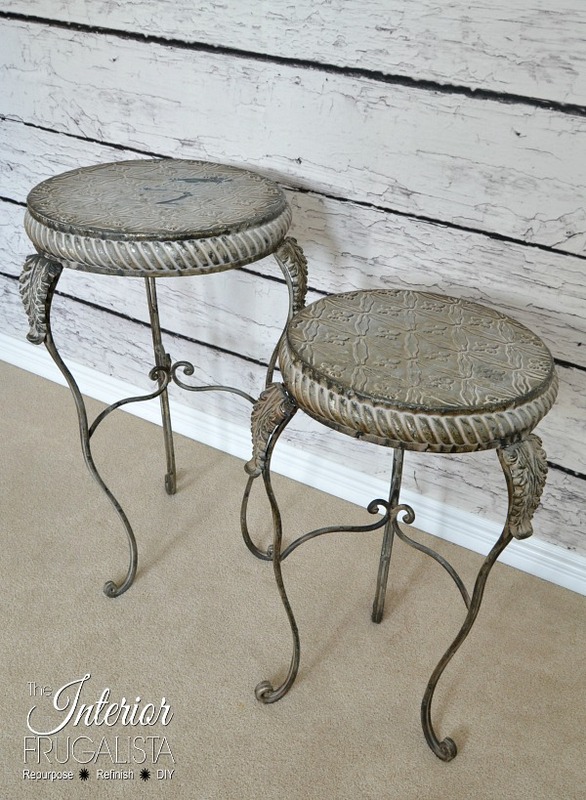 Recently I found a set of metal accent tables with lovely embossed lattice tops but I wasn't fond of the patina. That didn't stop me from buying them because I knew with a fresh coat of paint, those lovely details would pop. Plus, it isn't often you find them in a set. It was so quick and easy to update the tables with a paint brush and two coats of Dixie Belle Fluff. 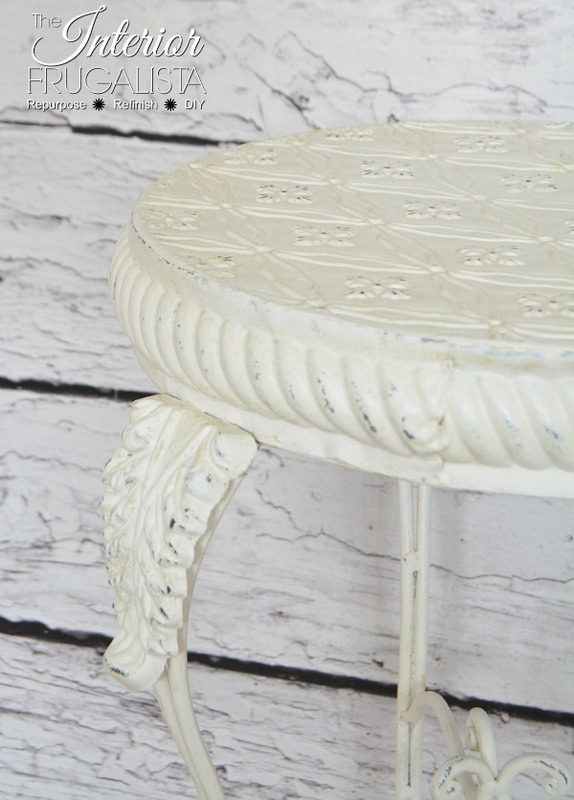 Once the paint was dry I distressed the raised details with 220 grit sandpaper to make all those lovely details pop. Dixie Belle paint doesn't require a top coat because the paint dries rock yard after 72 hours. But the chances these tables would be used as plant stands were high and so I protected them with Dixie Belle Clear Coat Satin Finish. I love the streak-free matte finish but it did yellow the paint a little. At first, I panicked but then decided I kind of liked the aged patina and embraced the slight yellowing. 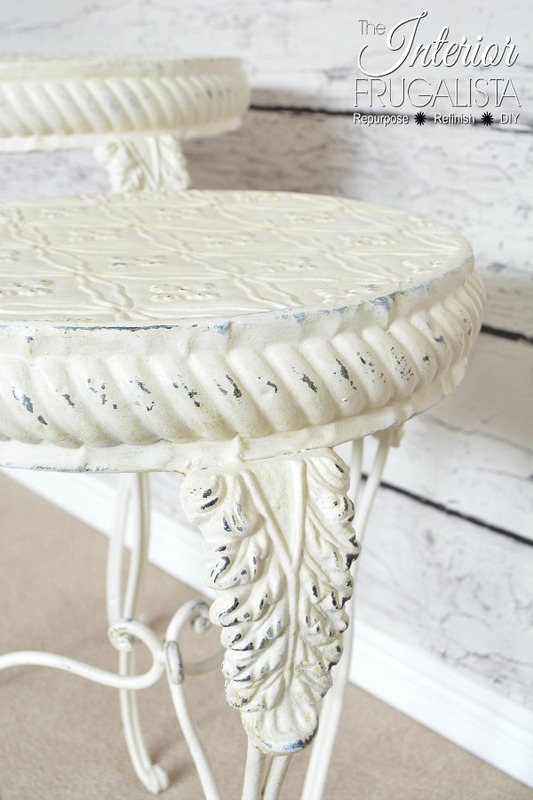 What I also like about using chalk paint is that unlike spray paint, it adds some texture. 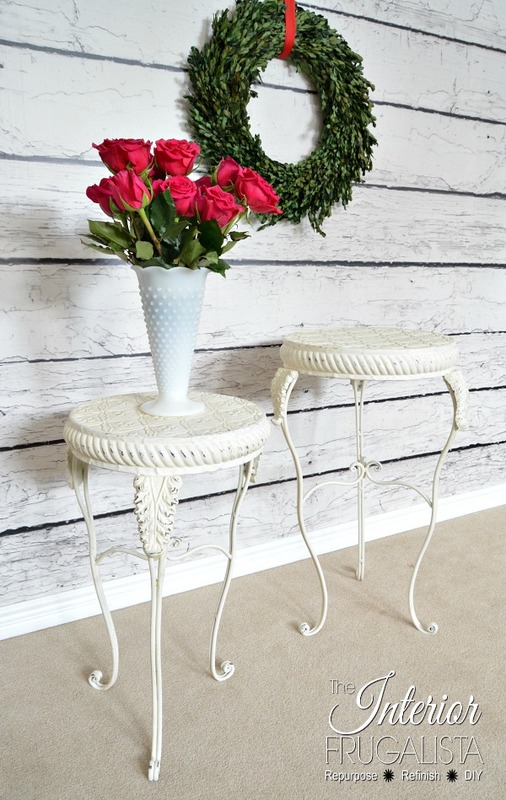 Look how lo lovely those curvy legs and floral details look so much better painted white. But I've spray painted metal furniture too during the summer months. 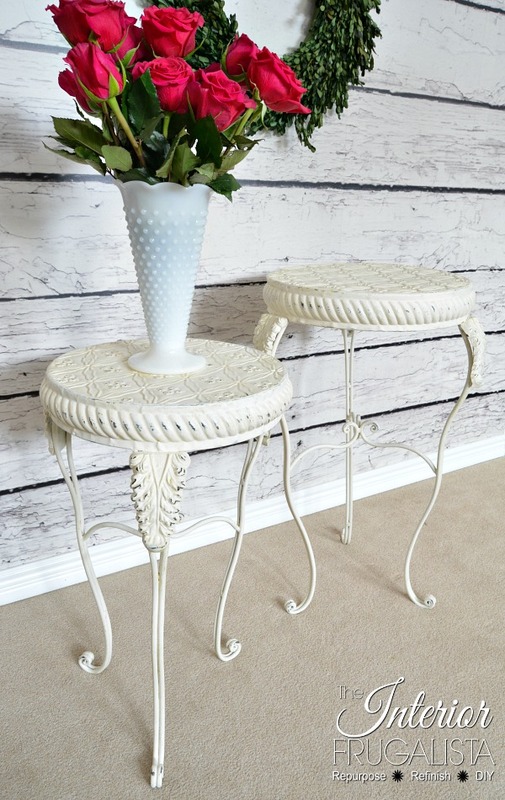 Like these vintage coastal metal nesting tables with a 50's vibe, or these vintage vanity chairs, and this pretty turquoise plant stand. I'm happy to report that they sold immediately at the holiday market. I was sad to see them go because I would have loved to keep them. But I have a brown thumb and they'd never be used as plant stands. I already have enough accent tables around this house and so they went to a couple who would put them to better use.